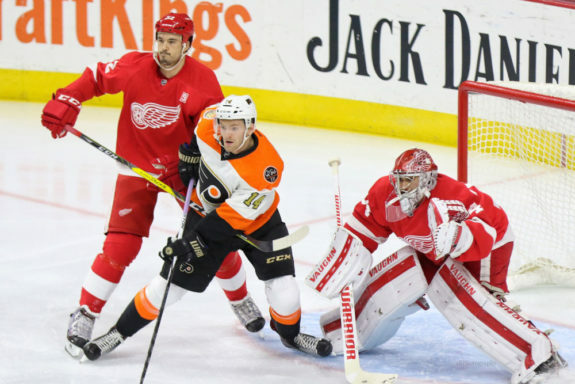 With the Vegas Golden Knights expansion draft and the 2017 NHL Entry Draft in the rearview mirror, the Detroit Red Wings now turn their attention to free agents. They have some key restricted free agents to re-sign and may add a player or two from the unrestricted free agent pool on July 1. As of now, the Red Wings have $61,188,333 committed to nine forwards, six defensemen, and three goalies for the upcoming 2017-18 season. If you add in Tyler Bertuzzi, Stephen Weiss’s buyout penalty, and expected bonuses, that number climbs to $65,066,667. Next year’s salary cap is set to be $75 million, leaving Detroit with just under $10 million to spend on free agents. In this edition of the Red Wings’ offseason guide, we’ll take a look at Detroit’s restricted free agents and their expected new contracts, plus who the Red Wings might target as unrestricted free agents. This summer, Detroit has three key restricted free agents to sign plus a few more from Grand Rapids. Most are expected to return. Detroit’s best pure goal scorer is due for a new deal. Tomas Tatar struggled for the first half of the 2016-17 season but found his scoring touch once the calendar turned to 2017. 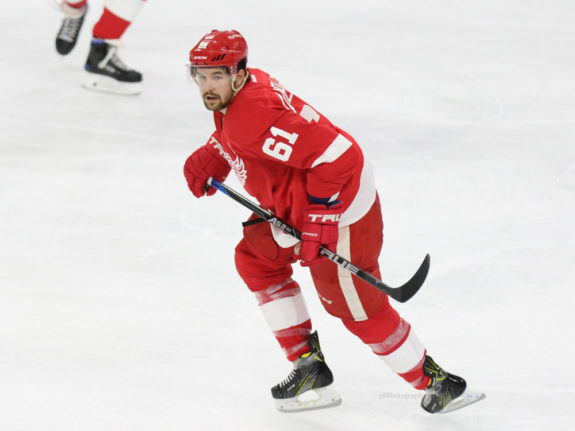 Coming off of a contract that paid him $2,75 million annually, Tatar is expecting a significant raise that’s on par with his professional development. In the end, the Slovakian sniper will likely sign a six-year contract with a $5 million-$5.5 million AAV. Considering his skill set and Detroit’s lack of goal scorers, this deal would be fair to both sides. Now that his entry-level contract has expired, Andreas Athanasiou is also due for a raise. Like Tatar, Riley Sheahan, and Petr Mrazek before him, Athanasiou is bound to sign a bridge deal that will expire the summer before he’s first eligible to become an unrestricted free agent. Expect the Red Wings and Athanasiou to come to terms on a two-year, $4.5 million pact that would pay the speedster an average of $2.25 million per season. Detroit’s lone restricted free agent defenseman, Xavier Ouellet is also coming off of his entry-level deal that was signed back in 2012. Like Athanasiou, Ouellet’s first non-entry-level contract will be a bridge deal that could set up a long-term deal down the road. The defenseman will likely take home $1.5 million over the next two years before Detroit ultimately commits to him long-term. In the minors, Martin Frk, Jake Paterson, Brian Lashoff, and Robbie Russo are all restricted free agents. Lashoff likely won’t be retained unless it is an AHL contract with Grand Rapids. Frk was qualified by the Red Wings but has yet to sign his tender. This will likely be his last chance to crack Detroit’s roster as Frk requires waivers to be sent down and has already been lost by Detroit on waivers once. Paterson and Russo will receive new contracts from the Red Wings and will start next season with the Griffins. Both do not require waivers to be passed between the NHL and AHL. Russo will likely be Detroit’s first defensive call-up next season, but Paterson still needs time to develop in the minors. With Tatar, Athanasiou, Ouellet, and Frk signed and on the active roster with these presumed contracts, Detroit’s total cap commitment would stand at $74,616,667. Thirteen forwards, seven defenseman, three goalies, Weiss’s buyout penalty, and performance bonuses make up that total. Of Detroit’s six unrestricted free agents, none are expected to be with the Red Wings next season. Joe Vitale and Drew Miller will certainly be gone from the NHL roster. Detroit may opt to retain one or two of Ben Street, Mitch Callahan, Dylan McIlrath, or Eddie Pasquale to play for the Griffins next season, but none would be expected to play a game for Detroit barring colossal injuries. Though the Red Wings do not have a lot of cap space, they still might sign an unrestricted free agent this summer. 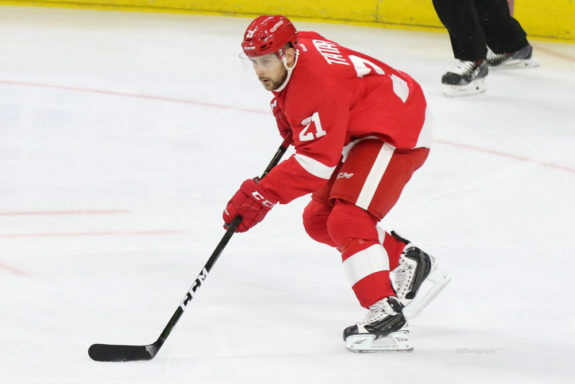 To make more room, Bertuzzi could be sent down without having to go through waivers and Luke Glendening could begin the year on long-term injured reserve after offseason ankle surgery. Bertuzzi, in particular, will be a topic of conversation among the Red Wings brass this fall – will he develop more in Detroit’s bottom-six or on Grand Rapids’ top line? In addition, the Red Wings will probably not want to go into next season with three NHL goalies on the roster, so one could get moved. If the Red Wings were to sign an unrestricted free agent, it would likely be in the same manner as last summer’s Thomas Vanek signing. Bringing in a veteran on a low-risk, “prove it” contract could benefit both the Red Wings and the player as it did for Vanek, who enjoyed a breakthrough season following his buyout in Minnesota. Patrick Sharp and Jiri Hudler could be similar candidates for the Red Wings this year. Another approach Detroit could take is to sign a young unrestricted free agent looking for a fresh start. Tyler Pitlick and Jordan Weal are available options with this strategy. Both shot right-handed as well – something the Red Wings still lack an abundance of. 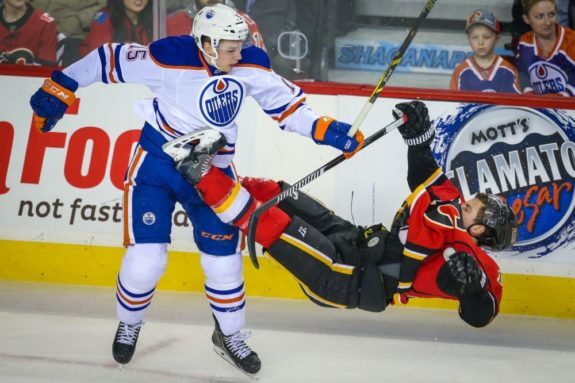 Brandon Pirri and Nail Yakupov could be left-handed options as well. Considering their cap crunch and rebuilding strategy, it would be wise for the Red Wings to steer clear of top free agents like Kevin Shattenkirk, Alexander Radulov, and Nick Bonino. It would be nice to have one or two in Hockeytown, but signing them is not in the organization’s long-term best interest. If a few trades are made, however, the viewpoint of these players—most notably Shattenkirk—could change. What do you expect the Detroit Red Wings to do in free agency this summer? Comment below with your thoughts.